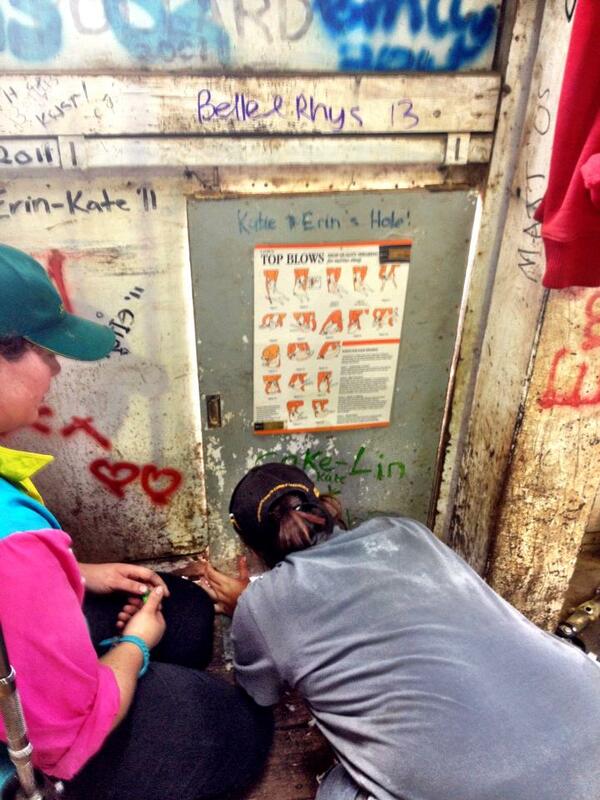 So guess what I got to call my classroom for the past week? 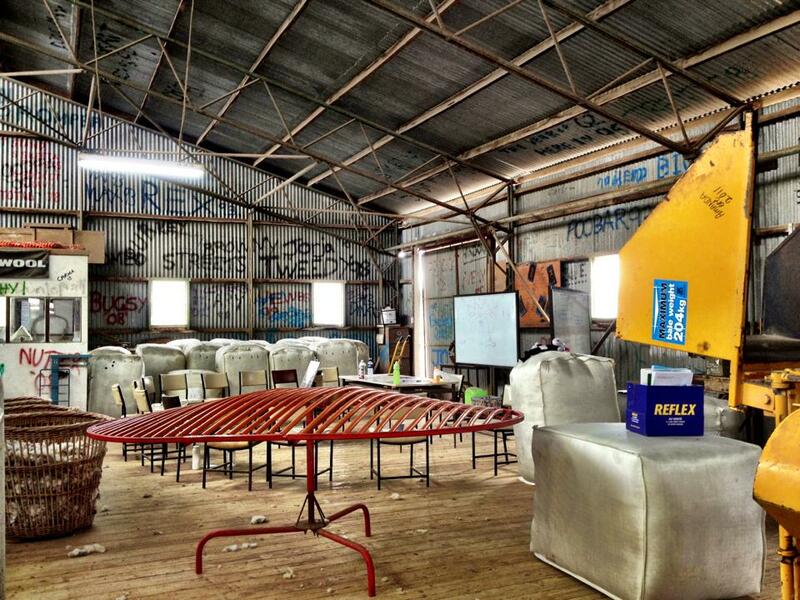 That’s right, the college shearing shed! 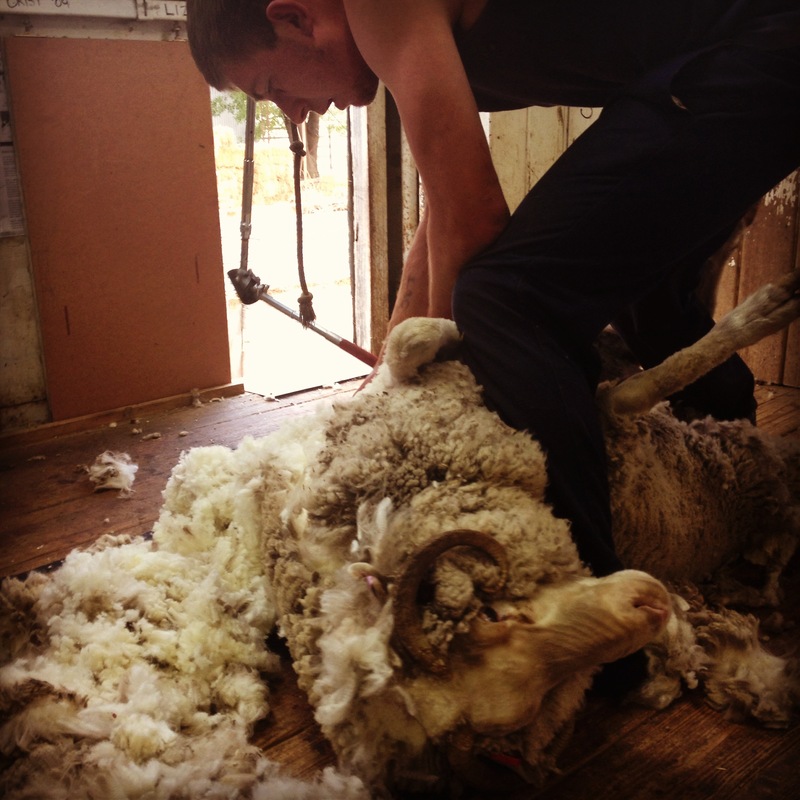 Each year, the first year’s from both the Advanced Diploma and Cert IV have the opportunity to participate in Shearing School as a part of their curriculum. 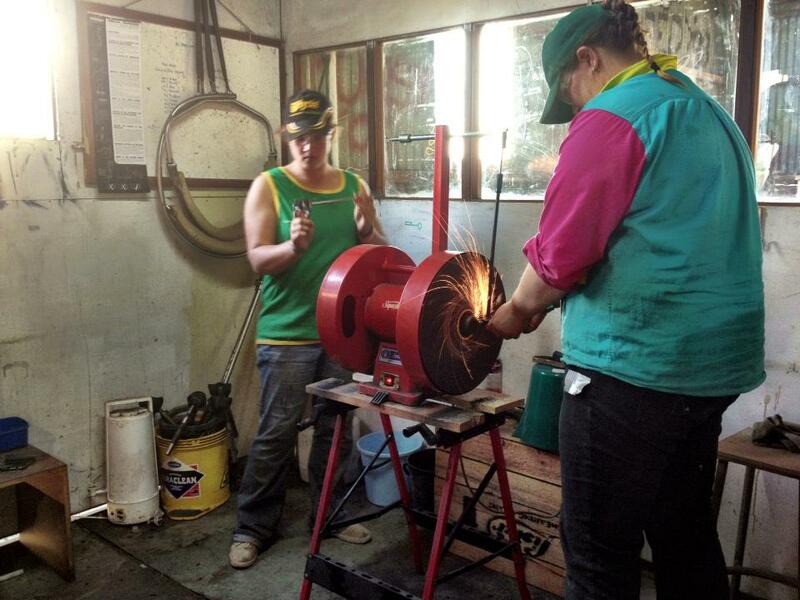 The school consists of learning how to shear, maintain equipment, grind combs and cutters and rousy. 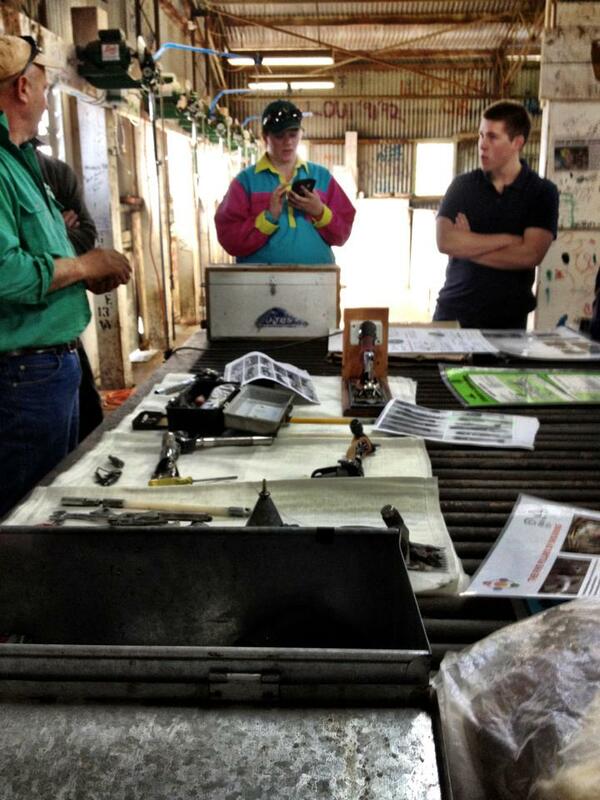 On the first day, we were introduced to John and Brad two shearer’s that would be our teachers (and comic releif!) for the week. 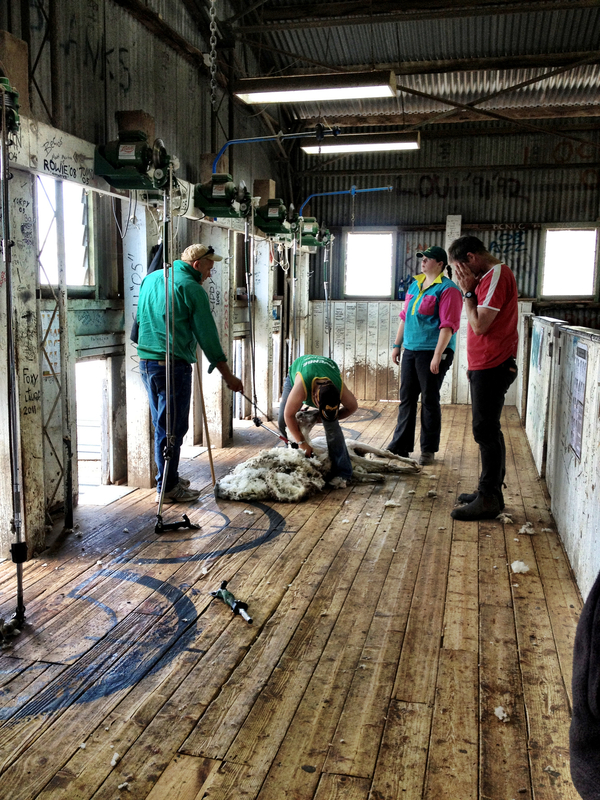 To begin with we started learning about different handpieces, combs and cutters, giving us an understanding of how they worked and how to set up our own handpieces for crutching and shearing. 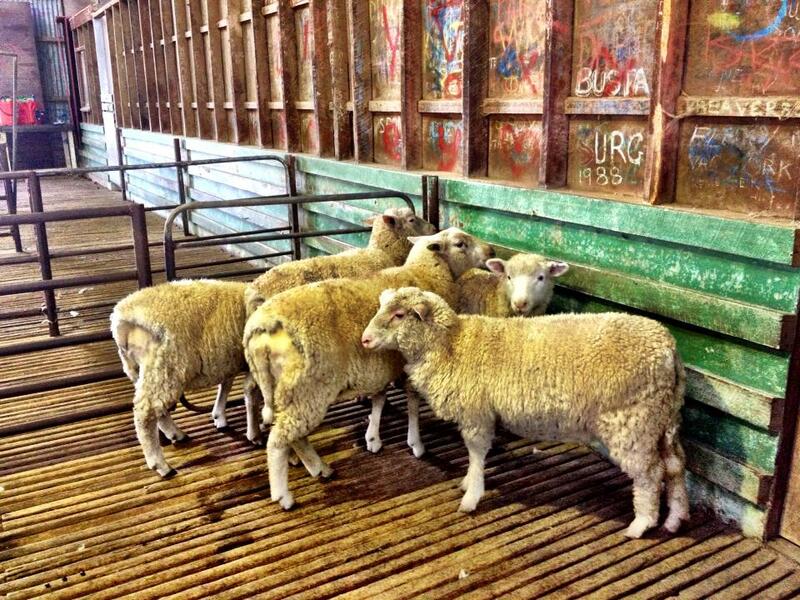 Once we had the basics down pat and our plants set up we began to learn how to crutch (taking the wool off from around tail to prevent flystrike) the ewes. 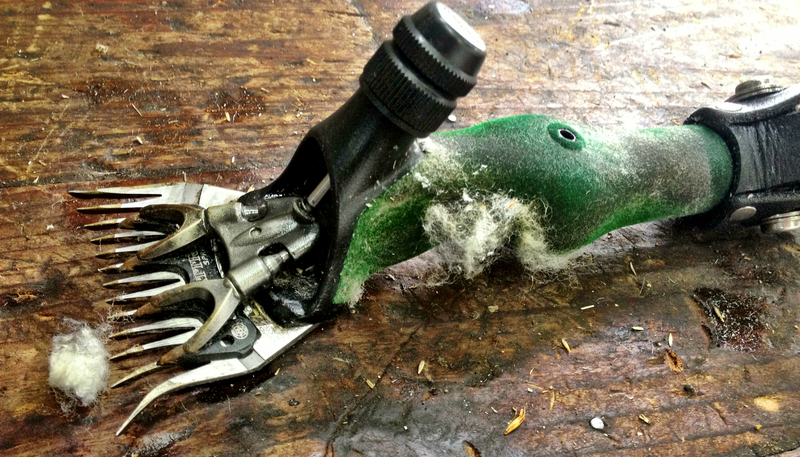 I won’t lie, it did look easy when watching the shearer’s demonstration..how wrong I was, just dragging the Merino ewes out of then pen and onto the board proved a challenge yet alone the crutching part of it! But by the end of the first day we had all given it a good crack and were happy with our efforts. 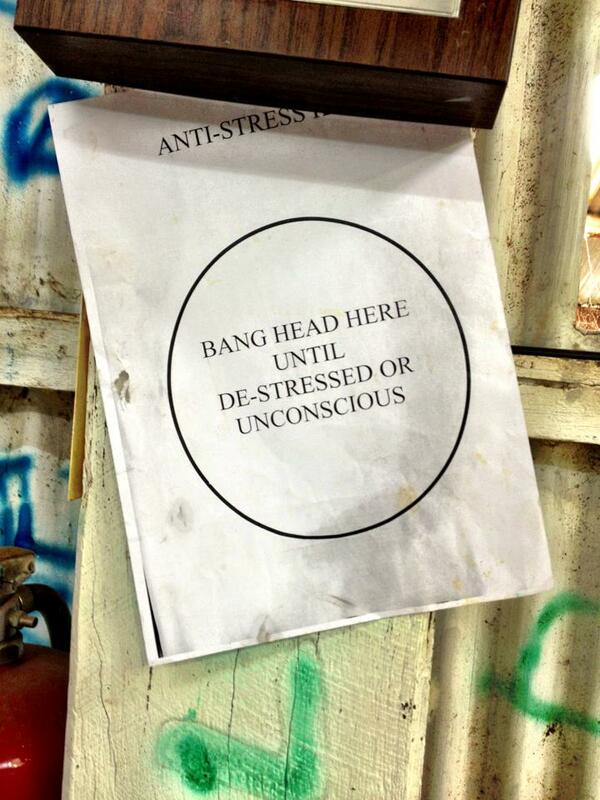 ‘Anti-Stress Kit’ The stress of learning new things, especially shearing..sometimes takes more than a deep breath! On the second day, it was indeed fair to say that upon getting out of bed, I had found some muscles I forgot I had! 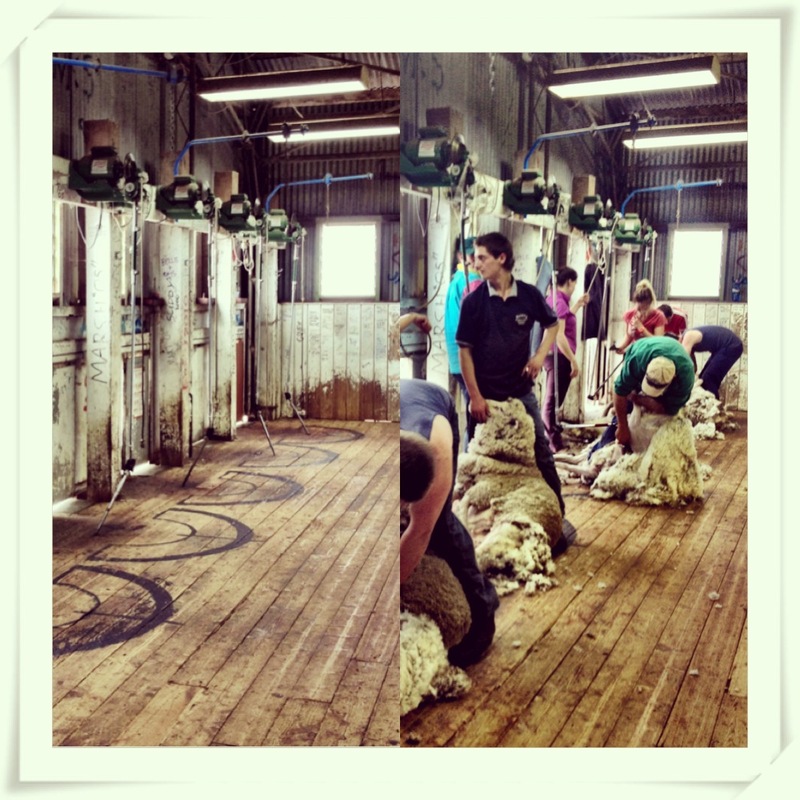 Nevertheless the day went on, for today was the day we started learning how to shear! 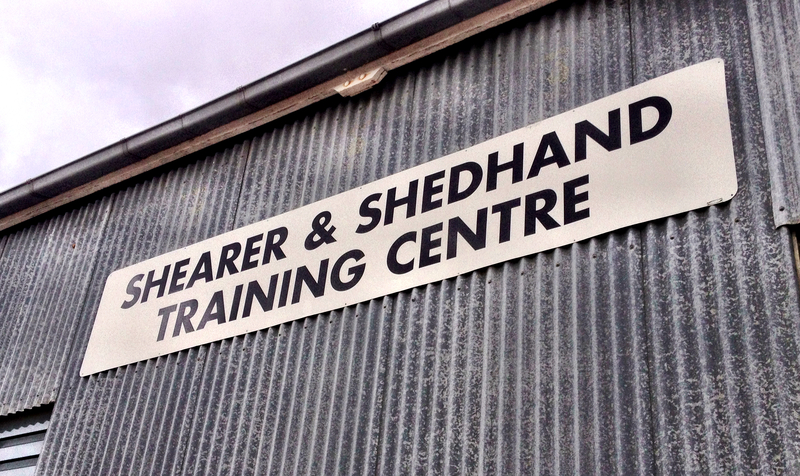 After arriving to the shed we set up our handpieces, oiled up the shearing plants before watching the shearers demonstrate the technique behind shearing a sheep. We then got started, the technique took us quite a while to learn but once we got the hang of it it kept getting easier and easier! 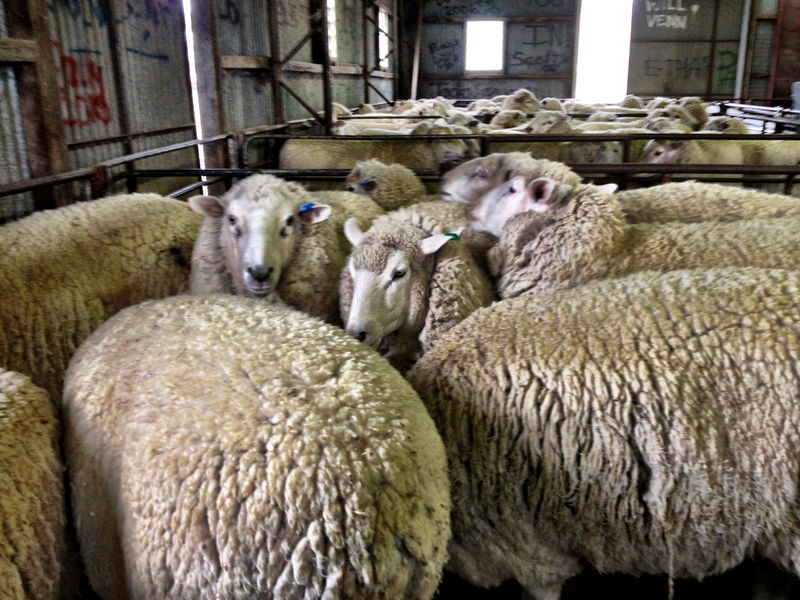 On the third day we started shearing the Crossbred ewes (gee and I thought the Merino’s were heavy and had attitude!). We also started learning more about rousying, sweeping the board, throwing and skirting fleeces, along with pressing the wool in the wool press. After lunch, we had the task of trying to remember back to how we had seen the teacher disassemble and reassemble a handpiece and do the same..challenge anyone?! 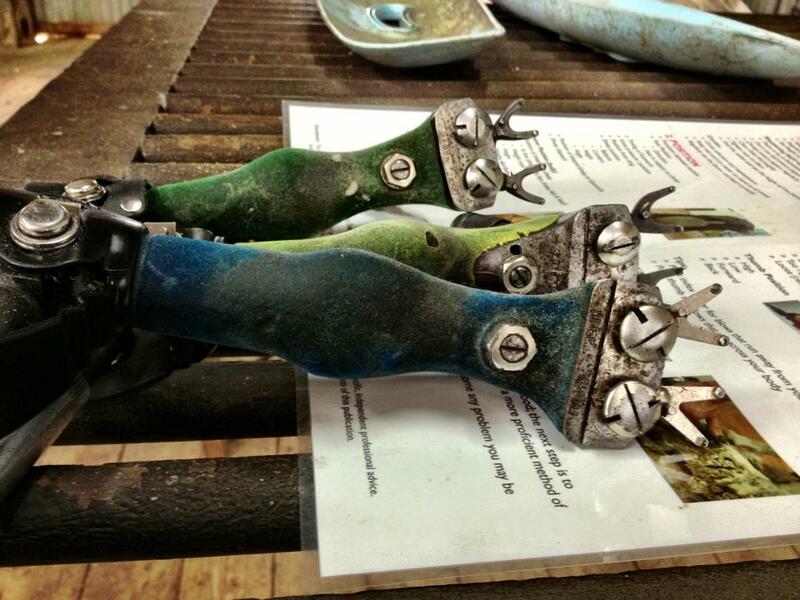 There’s a lot more to a handpiece than meets the eye! 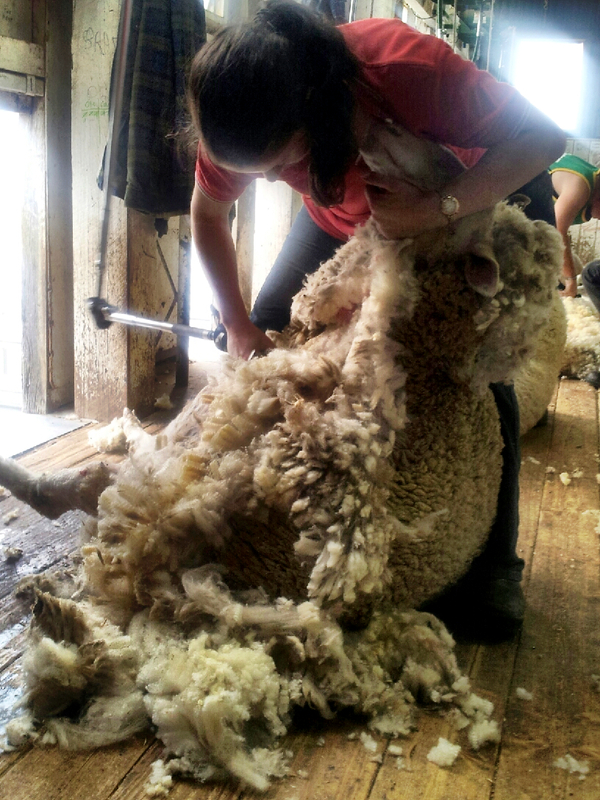 Me shearing one of the Crossbred ewes, what a challenge! 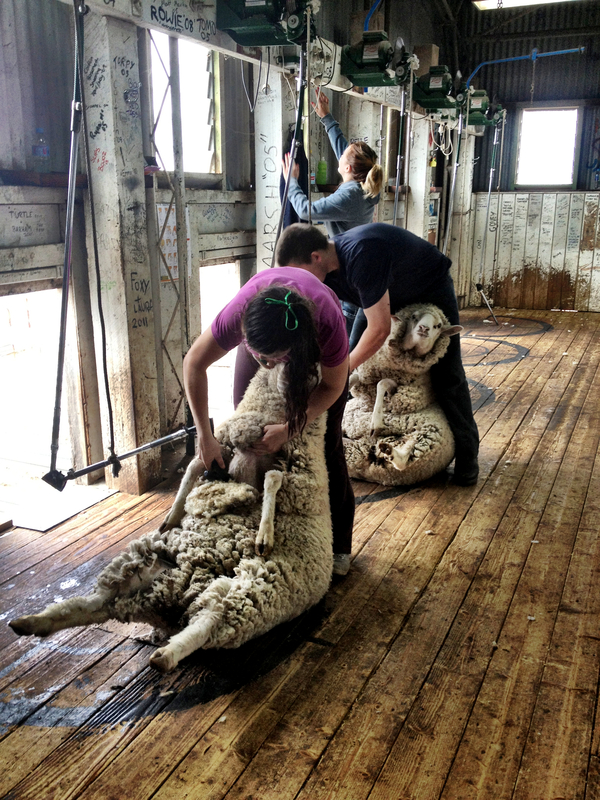 On the fourth and final day we spent our time trying to perfect our shearing along with being assessed on our technique. 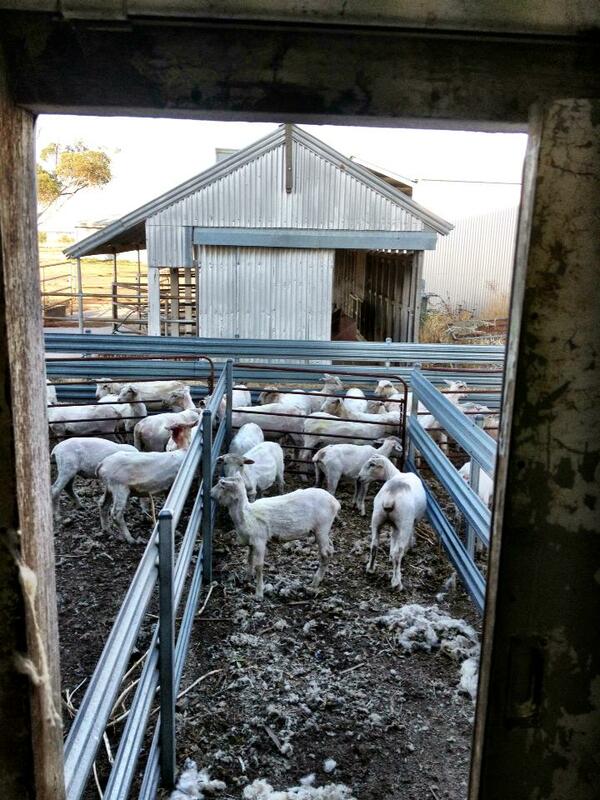 After lunch we had finished the crossbred ewes and started on shearing the lambs. Now they may look cute and cuddly but gee do they throw tantrums! In conclusion it was a fantastic week and a lot was achieved, I think it is fair to say that lots of satisfaction was felt in all that we had learnt and all we had improved in such a short period of time! 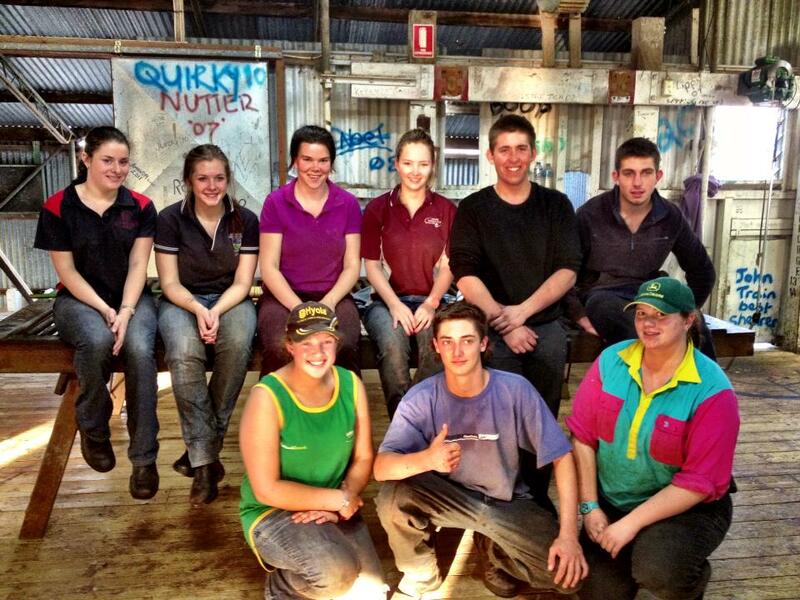 Oh and in finishing shearing school we also got to add out names to the ‘interior shed walls of fame’, a bit of a tradition at the college with names being painted and drawn since about ’85!